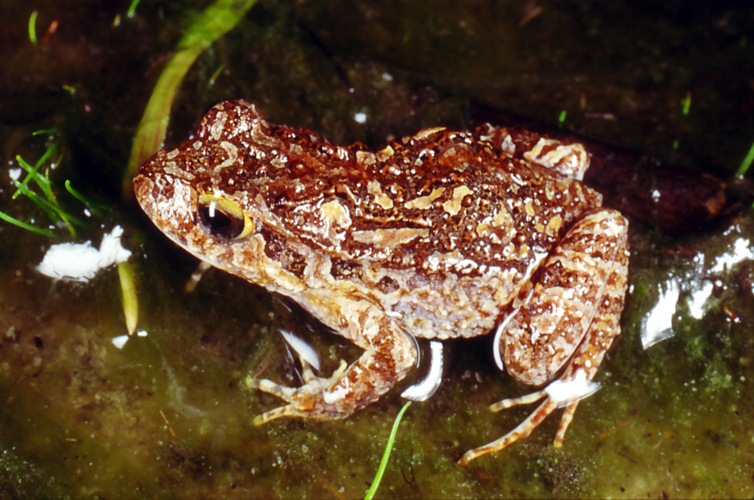 A small to medium-sized ground-dwelling frog with a highly variable back pattern consisting of either smooth or ridged areas of dark brown, light tan and grey (some males are coloured red during breeding). All individuals have a distinctive red patch in the groin and usually red, yellow or gold upper eyelids. The legs often have distinctive barring. Males of the species have much thicker and stronger arms than females. Length to 4 cm. Breeding occurs in the wet winter months. Large congregations of males are often found calling from shallow seeps and temporary pools found around granite outcrops. 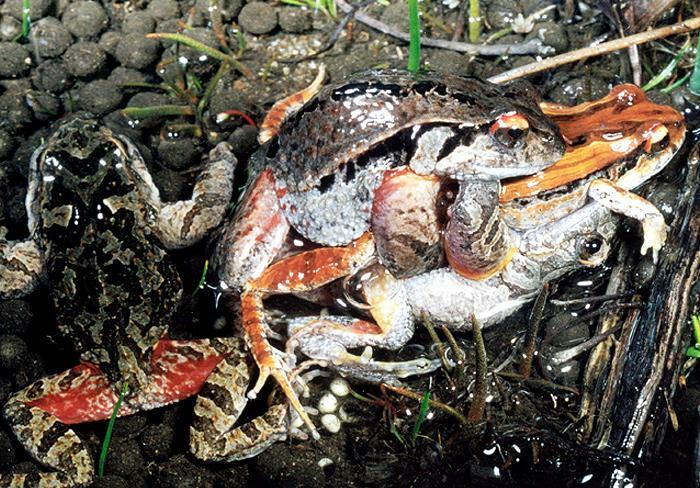 In this species, many males often struggle with each other to grasp the female. Egg-laying occurs rapidly and more than one male may father offspring in the clutch. Eggs are large and are often hidden in small depressions around the perimeter of shallow pools. 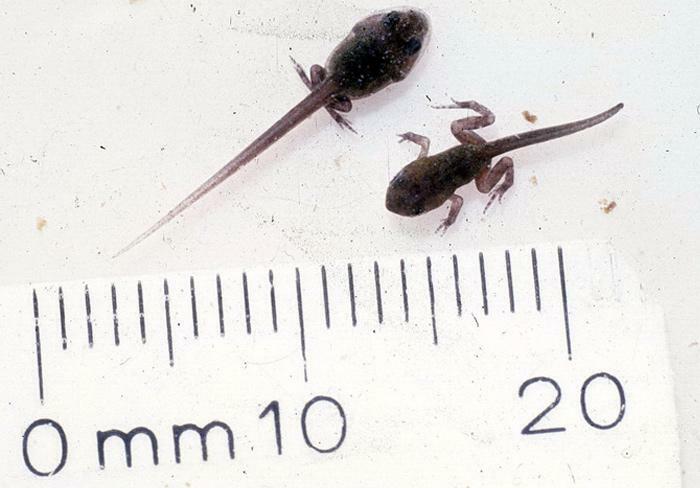 The tadpoles are very small, rarely exceeding 15 mm in length. Body colour is entirely black. Tail length is more than twice that of the body with a rounded tip. Tadpoles develop quickly in about a month as eggs are laid in shallow temporary pools. Tadpoles are able to accelerate metamorphosis if conditions in the water worsen. Newly metamorphosed frogs are tiny (ca. 15 mm). 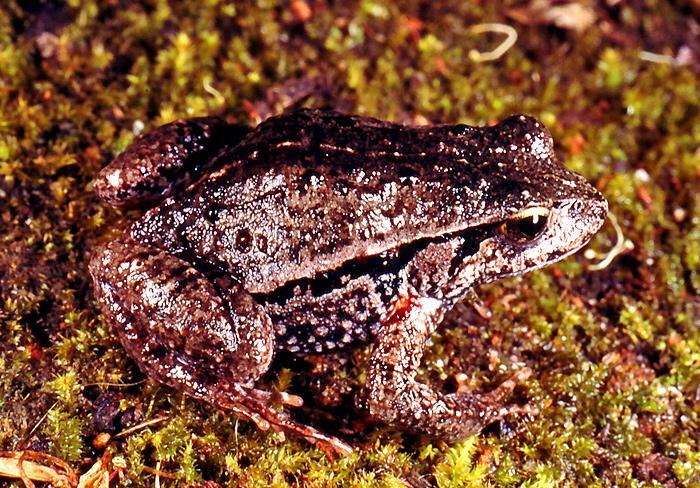 Found in low-lying moist areas within forests in the south-west and in a few sites on the Coastal Plain (e.g. Piney Lakes, Maylands). 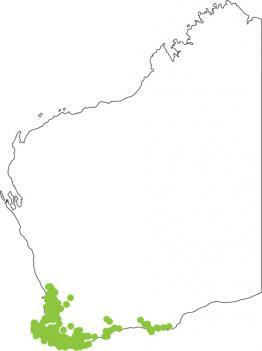 Named after King George Sound near Albany, where this species was first discovered. 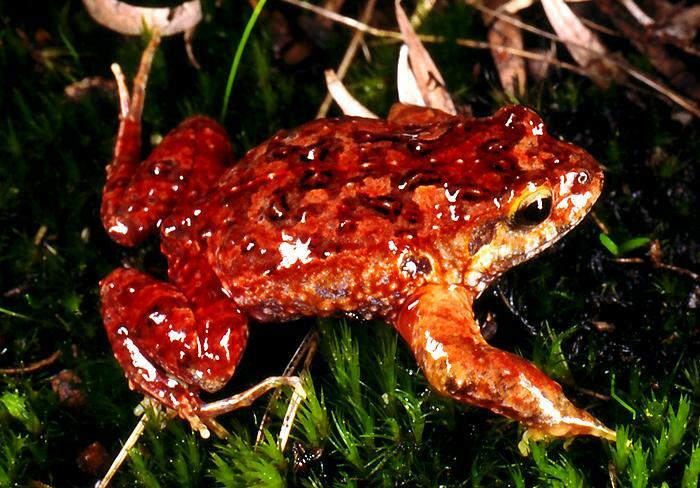 Quacking frogs may be found hibernating under rocks and logs during summer and autumn. Hiding males will respond to human 'quacks' by quacking back in the evening or even during the day. South-west region. From Gingin south and east to Cape Le Grand and extending inland slightly. Similar to the sound of a duck quacking. Often call in discrete bursts, and males will mirror the number of quacks a neighbor gives.